In this study, electrorheological (ER) properties of polyindole (PIN) and polyindole/poly (vinyl acetate), (PIN/PVAc) conducting composites having different compositions were investigated. Conductivities and dielectric properties of these composites were determined. The particle sizes of the composites were determined by dynamic light scattering method. 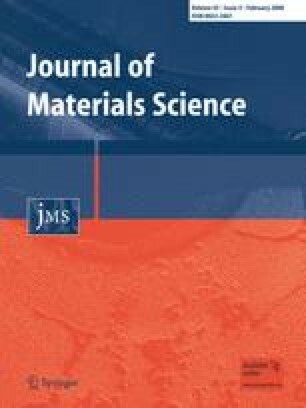 Suspensions of PIN and PIN/PVAc composites were prepared in silicone oil, at several concentrations (c = 5–25%, m/m) and their sedimentation stabilities were determined. Then the effects of dispersed particle concentration, shear rate, electric field strength, frequency, and temperature onto ER activities of suspensions were investigated. The flow times of these suspensions at various dc electric field strengths were measured. Further, creep tests were applied to the composite suspensions and a reversible viscoelastic deformation was observed. We are grateful to the Gazi University Research Fund (Grant No: 2006-45) for the financial support of this work.